It may be odd but I am quite impressed with my stats. The stats that impress me the most are my views from Czech Republic, Norway, Switzerland, Russian Federation, Iceland, South Africa, India, Brazil, United Arab Emirates and Indonesia. Just thought I’d share this with you all as it is something that upon looking at today I was really happy with. « An Evening Dress Perhaps? 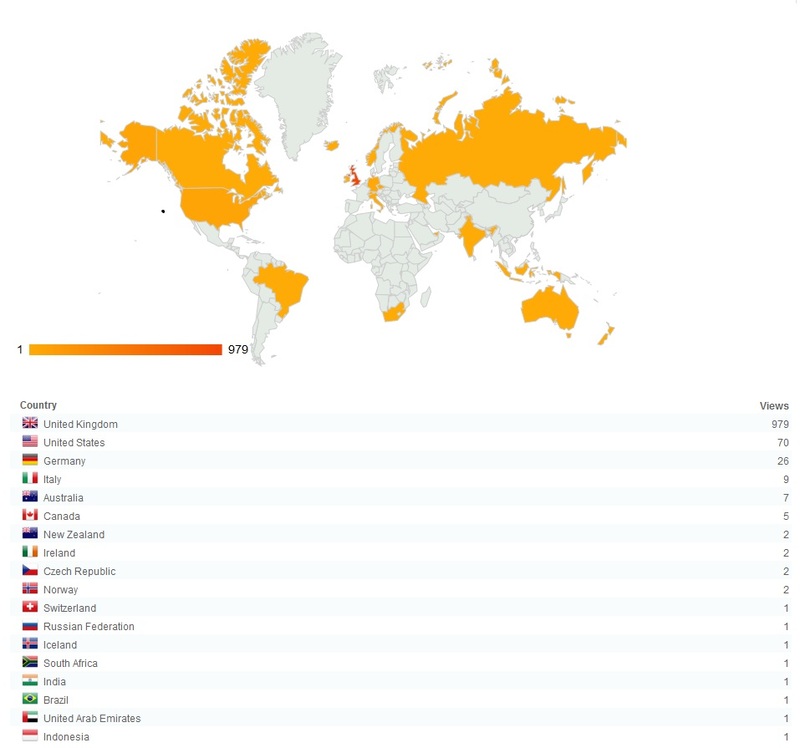 Congratulation for having many readers from all over the world! Ooo, how lovely! Thankyou for commenting. I am always very pleased with any comments I get.